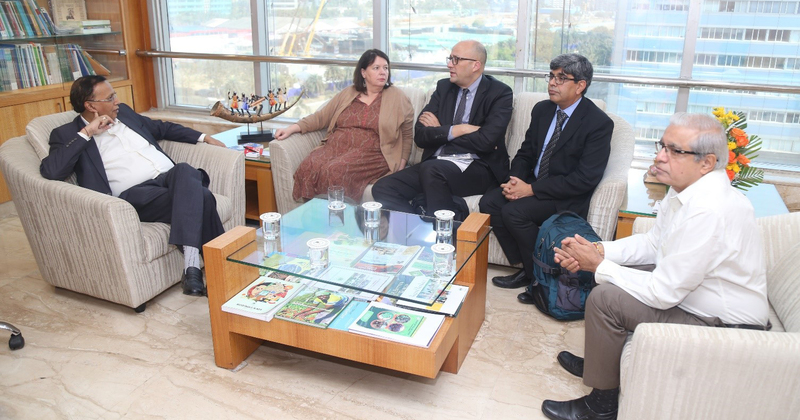 Chairman and DMD(HRD) met with Ms Sabine Preuss, Programme Director and NRM Cluster Coordinator, GIZ and Mr Mohamed Al-Khawad, Incoming Programme Director and NRM Cluster Coordinator, GIZ and Mr Rajeev Ahal, Director, NRM, GIZ on the 25th January 2019. Ms Sabine Preuss has been transferred to GIZ headquarters in Germany and had handed over responsibilities to Mr Mohamed Al-Khawad. Chairman recollected the association of Ms Sabine Preuss with NABARD and thanked her for the very useful contributions in the implementation of UPNRM programme and setting up the Climate Change centre in BIRD. 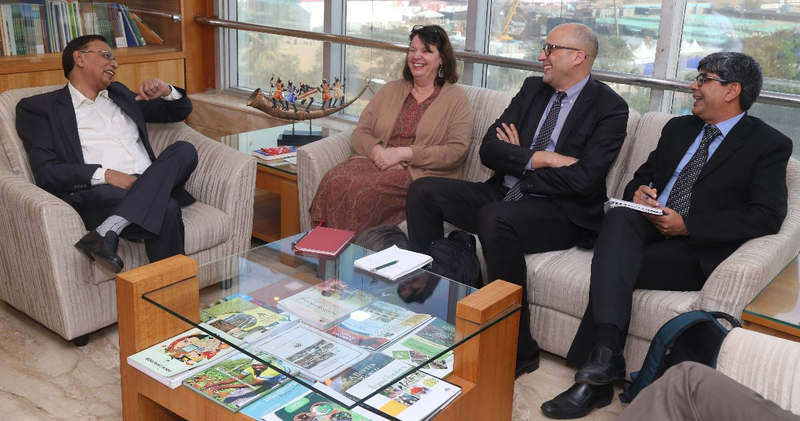 DMD welcomed Mr Mohamed Al-Khawad to India and suggested that NABARD would be looking forward to cooperating with the GIZ team led by Mr Mohamed in the Programmes being currently being implemented, ie NABARD-GIZ UPRNM Phase II, NABARD-GIZ SOIL Project and NABARD-GIZ-BIRD Centre for Climate Change. Chairman also mentioned that it would be useful to think of setting up a Centre for FPOs which will be responsible for the capacity development of FPOs and to coordinate with many external stakeholders for providing support services that are crucial for the growth and development of FPOs as sustainable institutions of the future. 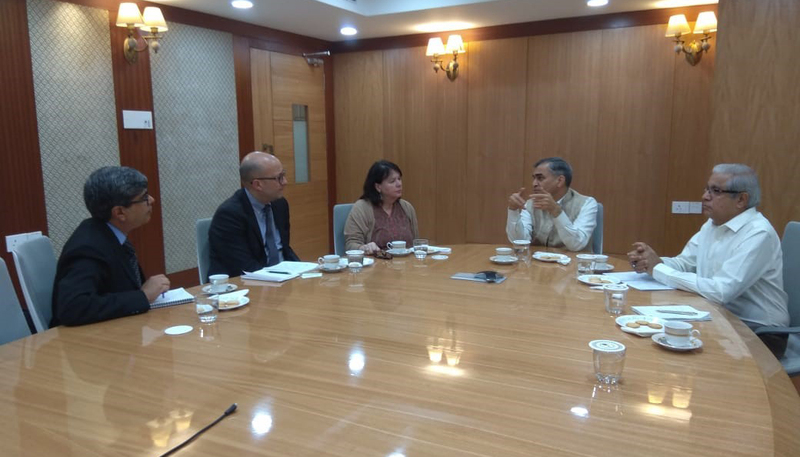 DMD also mentioned that NABARD values cooperation with GIZ and suggested that as both our institutions have been working extensively with implementation of programmes on ground as also engaging with policy makers, we could look beyond the existing engagements in Programme Implementation and look for a wider institutional engagement which will discuss ideas for the future. 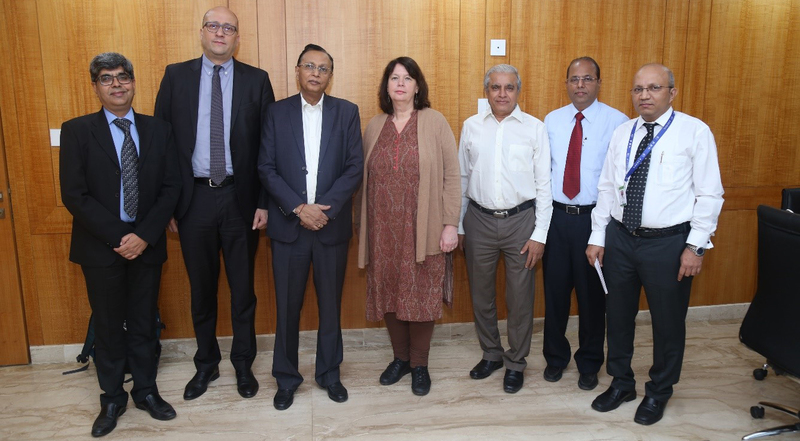 Shri M C Thakkar, CGM, CPD, Dr D Ravindra, GM, CPD and Shri Ramakrishna DGM, CPD participated in the meeting with the GIZ team. The GIZ team had subsequently met with Shri Shankar Pande, CGM, FSPD and his team.